You know how the saying goes: One man’s trash is another man’s … fuel? Instead of hauling food and yard waste to landfills, where it produces millions of tons of methane emissions each year, organic waste could be used to power cars, heat homes and potentially reduce the need for new landfills in the U.S., according to a new study led by Uisung Lee of Argonne National Laboratory. In a paper published this month in the Journal of Cleaner Production, Lee and other scientists assessed the environmental benefits of various waste-to-energy production methods. The researchers found that waste from yard trimmings, paper, wood and food could produce significant amounts of renewable natural gas and liquid fuels, such as gasoline and diesel, while also avoiding emissions of methane and other harmful pollutants. Uisung Lee (Courtesy Argonne National Laboratory) “Our study shows that using what would otherwise become landfill waste to produce fuel typically generates less greenhouse gases than simply letting the waste decompose,” said Lee, a postdoctoral appointee in Argonne’s Energy Systems Division, in a press release. Landfill gas produced by waste contains high concentrations of methane, a potent greenhouse gas that Argonne says warms the climate about 30 times more than carbon dioxide. 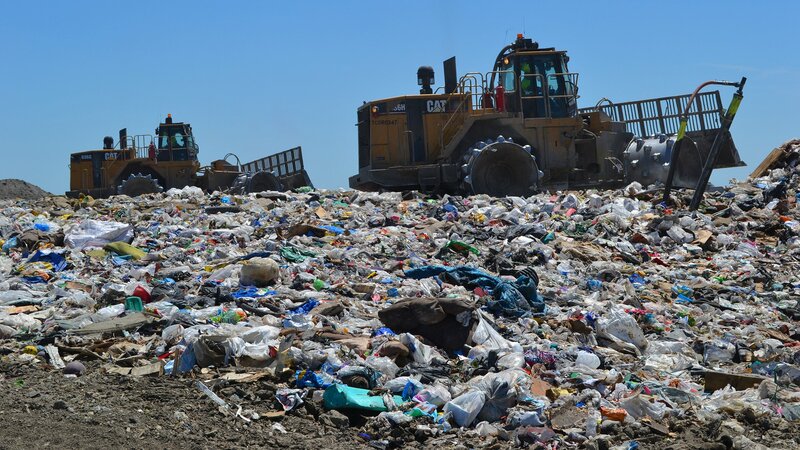 Although operators of large landfills are required to combust landfill gas, collecting all of it is impossible, resulting in large amounts of methane escaping into the atmosphere, according to Argonne. In 2014, about 70 trillion pounds of waste wound up in landfills in the U.S., according to the Department of Energy. The following year, the amount of greenhouse gases that escaped from landfills in the U.S. had the same global warming impact as 29 million passenger vehicles, according to calculations by Lee based on data from the Environmental Protection Agency. There are, however, several methods for transforming waste into fuel, such as hydrothermal liquefaction and gasification. The resulting energy products include natural gas, bio-char, bio-oil and hydrocarbon fuels, such as gasoline, diesel and jet fuel. “By using waste to produce energy, we can avoid emissions from landfills and potentially reduce the need for additional landfills across the country,” Lee said. Lee’s study also found that waste can be collected using existing infrastructure for collection and separation, which further lowers the cost for energy produced from waste.